With regular rehearsals and time spent maintaining and looking after your instrument along with the possibility of performing professionally too, whether music is your career or you’re simply an enthusiast, playing a musical instrument is a real life investment. So, how would you feel if your instrument was damaged, lost or stolen? Musical instrument insurance is often overlooked because we don’t always fully consider the risks associated with carrying around what can amount to extremely expensive equipment. When it comes to carrying around laptops, tablets and phones, we’re getting increasingly savvy at taking out gadget insurance, but we don’t necessarily afford the same protection to instruments that can cost far more and provide us with a great deal of pleasure. Is it time you put protection in place for your much-loved guitar or DJ equipment? The Smart Money People guide to musician insurance will help you tune up on the relevant information to help you decide. In short, basic musical instrument insurance typically covers you for loss, damage and theft of your musical instrument, though you may find there are stipulations that outline the circumstances in which you are covered for theft, so take the time to read your policy. Instruments are usually covered when left in a locked vehicle but not all policies offer this. Musical instrument insurance will also usually cover you abroad but policies may stipulate that cover is provided for a fixed number of days annually (e.g. 30, 90, 180 days) and may also outline how your instrument should be cared for in transit. If your instrument is damaged, you will usually be able to claim for depreciation in its value and some policies offer new for old replacement. Depending on the level of policy you take out you may also like to include public liability and accident cover in case you are unable to fulfil a professional engagement or your instrument is responsible for causing damage of some kind. Another useful extra is replacement instrument hire, which could dramatically reduce the time you are left unable to play if you are left without your instrument. These elements of cover can prove useful if you are a professional musician who makes a living from performing. Does my home insurance include instrument cover? If you don’t perform as a musician in a professional capacity – i.e. you don’t play to an audience at gigs, there’s a good chance your home insurance may cover your instrument, providing you don’t own an expensive model and instruments aren’t named as being excluded items on your policy. Generally, home insurance will cover individual items in transit and outside the home up to a specified value, so if your instrument is not worth over this value this shouldn’t be a problem. However, if you are prone to leaving things on the bus or simply don’t want to risk a hike in the cost of your home insurance should you need to make a claim, you may want to consider taking out a separate policy for your instrument if it’s not exclusively used in the home. It’s also worth noting that if your existing home insurance policy doesn’t provide adequate cover, it’s generally less expensive to take out a separate policy than to have the cover added on to your home insurance, though this will not always be the case. How much does instrument insurance cost? How long is a violin string? Factors contributing to the cost of instrument insurance include the value of the instrument and level of cover along with the rarity of the item itself. You can expect musical instrument insurance to start at as little as £50 per year but if you are the proud owner of a rare or vintage instrument that would cost thousands if not millions to replace, you can naturally expect to pay more. Having more things covered such as public liability will also increase the cost of your cover. 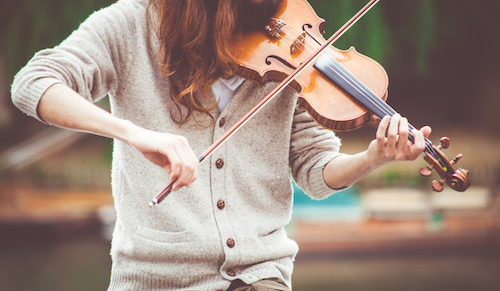 Who offers the best musical instrument insurance? Writing down your musical insurance must-haves should be your first step when researching who is likely to be the best musical instrument provider for you, as this will provide you with criterion to narrow down the field. If you’re accident prone or consider yourself at a higher risk of theft and don’t often have cash to spare at the end of the month, you’ll be pleased to know that you can find insurance with no excess or relatively low excesses, which may well prove a good fit. If a trip to perform at the local pub is the full extent of your instrument’s travel agenda, you’re less likely to be bothered about how many days your instrument will be covered for worldwide travel too. 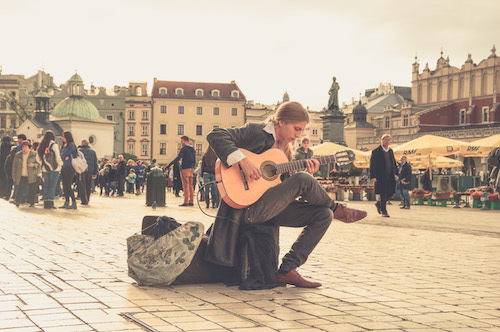 You will find policies aimed both at travelling performing musicians and owners of expensive, obscure instruments alike, so take time to find the right one for you. Don’t forget to refer to our reviews of musical instrument insurance as part of your research; it includes feedback from real musical instrument insurer customers who have held policies with general and more specialist insurers including Allianz. Already have musical instrument insurance and want to see where your insurer stacks up against the rest? Head over to our musical instrument insurance leaderboard to see the top-rated providers.